The Liberty Professional is Eurogem’s ‘Top of the Range’ dual ‘Steam combined with Vacuum’ suitable for Light Commercial applications as well as everyday domestic use for larger styled homes. Why choose the Liberty Professional? 3.4 litre stainless steel boiler with continuous refill the larger boiler increases the static steam storage up to 2.5 litres. 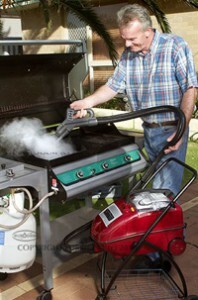 It can produce over 1,500 litres of super fine steam vapour from just one litre of water. Standard 3 metre hose makes for greater maneuverability in difficult to reach areas such as long and narrow hallways, toilets, showers, ensuites etc. Optional 4 metre hose is not only suitable for the above but also in areas with vast floor spaces. Portable enough for carrying yet tough enough to perform any job. The large volume of steam produced makes the Liberty Professional an effective alternative for those outdoor cleaning jobs, once reserved for hose and water blasters, which are now banned due to water restrictions in many areas of Australia. Standard 3 wheel chrome trolley, with storage tray for accessories, is sturdy and makes for easy maneuverability in Light Commercial or Domestic situations. 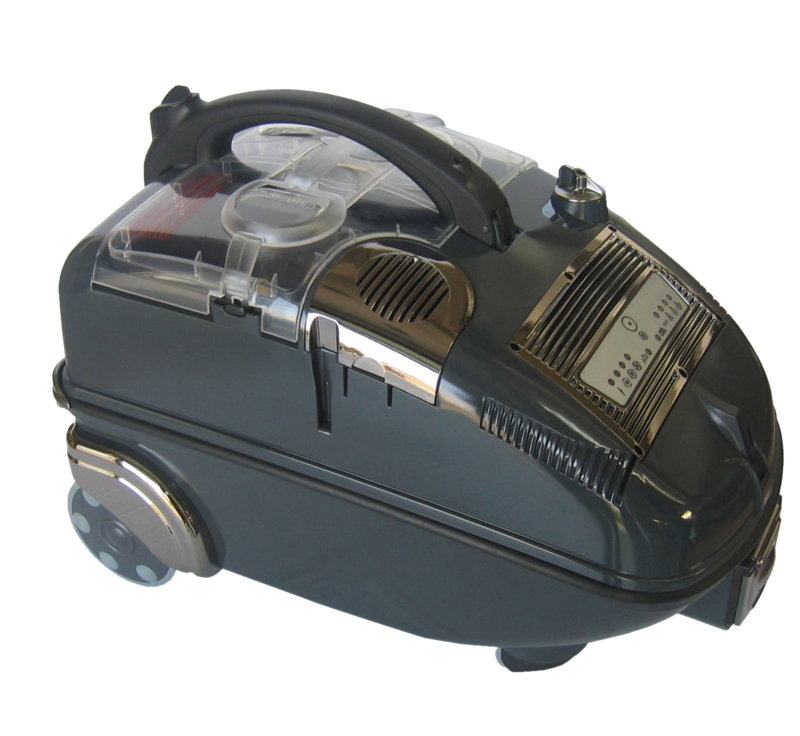 Three levels of Steam Output and Low/Medium/High levels of Vacuum makes them Liberty Professional an ideal model for the treatment of Bed Bugs. Bed bugs and its eggs are steamed then vacuumed ensuring no escape for any missed bugs, and its eggs. Home owners with more than 200 sqm of tiles appreciate the greater steam generation of the Liberty Professional. It gets amazing results, cleaning grout and rougher tiles like the outdoor and pitted, non-slip and slate varieties removing marks and grime build up over years. Car detailing companies prefer to use the Liberty Professional for cleaning Upholstery, Carpet, Dash Boards and Air Conditioning Vents as the finish is virtually dry compared to traditional water injected vacuum cleaners. Hospitals, Nursing Homes (see Testimonials), Backpackers, Hotels/Motels, Caravan Parks, Restaurants,Cafe’s, Cleaning Companies, Pest Control Companies, Boat Owners, Bed Bug Specialists, Domestic Cleaners etc choose the Liberty Professional for its ability to Sanitize and Clean, Chemical-Free, leaving surfaces odourless and drier for a more noticeable cleaning result than traditional mop and bucket methods. No downtime on rooms. Bed Bugs are an epidemic that threatens the livelihood of not only Accommodation Industries but also normal everyday domestic environments. The Liberty Professional, like all our models, is recommended to eradicate Bed Bugs. It requires no harmful chemicals, and treatments are effective immediately, so rooms are clean, sterile, bug free and ready for use straight away. The Liberty Professional offers a Dual Cleaning Feature that injects hot steam onto a surface and then vacuums the extracted dirt, dust, grime and moisture leaving hard surfaces sanitised, squeaky clean, dry ready to walk on immediately. 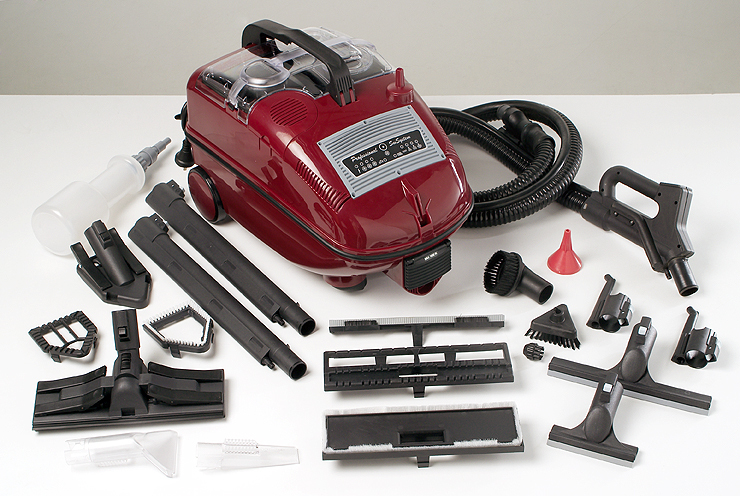 The Liberty Professional also cuts your cleaning time in half the ‘Power of Steam’ eliminates the elbow grease associated with a mop and bucket. Steam production is ‘Continuous’ as the boiler is replenished on demand with water transferring across via a pump from a separate non-pressurised water reservoir.The unit also features convenient Electronic Steam and Suction Controls at the handle, so the amount of steam emitted and strength of suction can be varied to suit all surfaces and fabrics. 99.9% filtration is achieved simply and efficiently by the patented Venturi process. 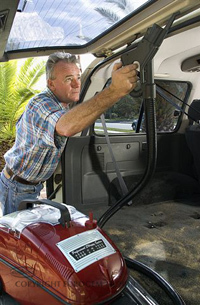 This process eliminates the need for messy dust bags or expensive hepi filters. Vacuumed dust is filtrated through a water reservoir to be discarded simply by removing the reclaim tub and dispersing the contents down the sink or onto your plants. A built in safety device closes down vacuuming when the filtration tub is full. 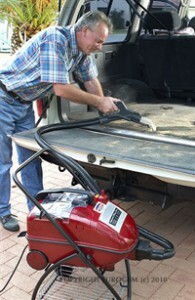 Unlike with dust bags and hepi filters, the vacuum suction velocity in not diminished as dust is drawn into the machine. This allows the motor to function at 100% efficiency at all times. Additional fees will be charged for postage and Handling based on where your order is being sent to. We will be contacting you after the ‘ online transaction ‘ has gone through with an Invoice to pay these additional fees before your order is shipped out.